For 25 years, a dedicated group of passionate volunteers on the cultural and physical edge of America’s Pacific Coast has been hosting the world’s biggest BYOC (Bring Your Own Cannabis) party: Seattle Hempfest. Seattle Hempfest remains unique for many reasons, not simply because it features a world-class gathering of friendly people sharing the kind herb or that it probably contains — during a few precious days every August — more tie-dyed shirts and ponytails than any other place on the pot planet. What sets this institutional celebration of all things cannabis apart is the realization that it is attended by more than 100,000 counterculture fans each year. It’s not a proper counterculture event without a painted school bus. Not to mention the significant advantage for many suffering the burden of one of the longest economic downturns in North American history: Seattle Hempfest is free. No-cost festivals are increasingly rare in an age of pricey concert tours, something that reflects the festival’s founding spirit of free love and flower power. The fact that it does not charge admission makes Seattle Hempfest rare among large, popular events, many of which invite mega-sized corporate sponsors to the party. In an age when most cultural festivals charge hundreds of dollars per participant for a weekend of revelry, music, and stealthy toking, Hempfest volunteers and organizers are resolute in their goal to maintain the accessibility of the classic stoner-gathering to all comers — regardless of the coin in their pocket. Seattle Hempfest has become known as an event that is typically accompanied by overcast skies and, often, a bong full of rain. 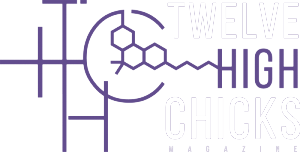 In many years past, it has been a decidedly mellow-harshing experience for participants just trying to medicate or get high while enjoying groovy tunes, world-famous speakers, and fellowship with like-minds. 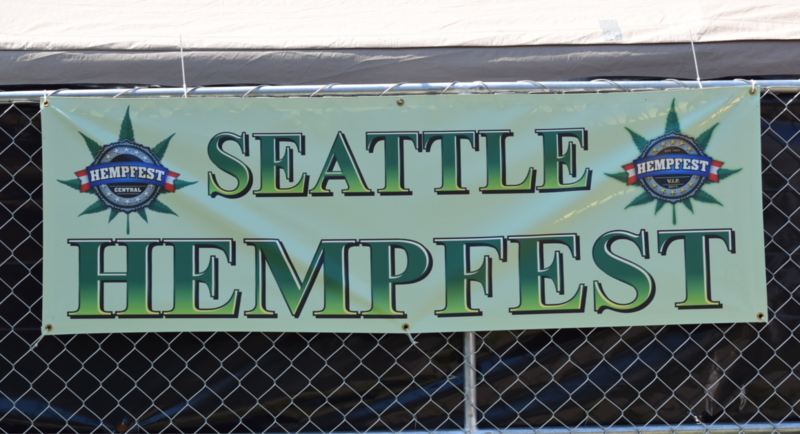 The 2016 Seattle Hempfest, however, featured plenty of sunshine and a beautiful backdrop of marbled blue skies while speaker after speaker and plenty of top-shelf bands took to multiple stages. Positioned in two adjacent city parks, this Hempfest seemingly spiralled endlessly along the photogenic downtown Seattle waterfront. Hempfest newbies who were unfamiliar with Seattle streets (or who possibly went overboard dabbing back in their hotel room) needed simply to navigate toward the massive Space Needle. The scenic, meandering paths along the shoreline revealed thousands of fellow stoners blissfully smoking, vaping, eating, learning, and smiling as the afternoon sun glistened off the Pacific Ocean. The carnival-like food-vendor section of the event was certainly a popular destination sought by attending stoners when the munchies kicked in. However, among the hippest, sexiest vendors at the 2016 Seattle Hempfest were the glassblowers. A small sample of the vast array of glass for sale. Some amazingly sophisticated examples of local Washington-blown, smoking glass dotted booths throughout the festival. Among the most creative examples of borosilicate art was AntiMatter Glass, a local company that displayed some of the finest and most tripped out pipes and nectar collectors during the weekend. AntiMatter Glass adorns its “transcendental devices” with trademark octopodes, starfish, geckos, and other googly-eyed creatures that one can easily imagine having crawled onto glass pieces from a primordial psychedelic swamp of contrasting colors. It came from the dank…. Notable speakers at the 2016 Seattle Hempfest included activist and entrepreneur “Grand Daddy” Mike Grafton, inventor of the modern dispensary licensing model Lynnette Shaw, and toke-friendly activist-comedian Ngaio Bealum. Hear an exclusive interview with Ngaio Bealum from the 2016 Seattle Hempfest. Those new to Seattle Hempfest are often surprised by the format of the three-day event, which provides a pulpit to activists, entrepreneurs, politicians, entertainers, authors, and other experts and advocates from around the world. The stage was as busy with sponsor banners as it was with speakers and bands. Each speaker is given roughly five minutes to deliver their message. The rapid-fire speaker schedule, nicely intermixed with 30-minute band jams, equals a Hempfest experience involving dozens of speakers in a single day. Saturday, August 20, featured nearly 100 speakers and more than 40 bands strewn across five massive stages. In addition, the Ric Smith Hemposium hosted more than 15 moderated panel discussions over the three-day festival. One of the weekend’s most powerful and experienced speakers was “Grand Daddy” Mike Grafton, an Oakland, California-based Harvard grad and entrepreneur who has developed a commercial packaging system that can preserve the shelf life of cannabis for up to seven years. Grand Daddy Grafton speaks from the main stage. Grafton, a natural Hempfest speaker because of his strong advocacy for patients’ rights and personal freedom, labelled the current cannabis legalization movement a war: “We win this war by outgrowing the opposition,” he told the audience during his speech. “We grow more weed. We process more weed. We get more weed to more people,” Grafton passionately lectured. Hear Grand Daddy Mike Grafton’s Seattle Hempfest speech here. Lynnette Shaw, a Northern California-based activist and entrepreneur, also invoked the popular “drug war” metaphor during her speech but claimed victory for participants in the cannabis legalization movement: “It took a whole lot of work to get to this point where I can say that we have won. We have won!” exclaimed Shaw during her Hempfest speech, adding, “there are still a lot of details to work out, but … we are setting our people free.” Listen to Lynnette Shaw’s Seattle Hempfest speech here.